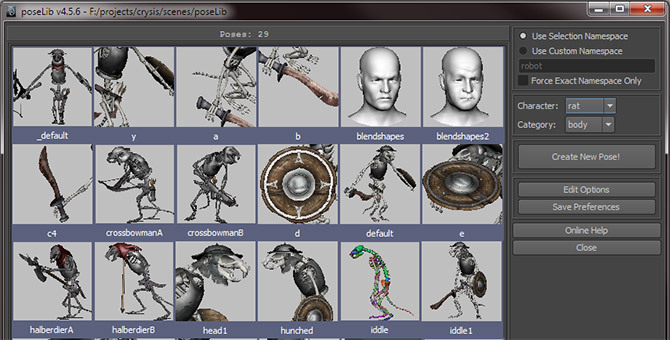 Just a reminder that I updated poseLib yesterday (v4.5.6), so if you use Maya 2011 you should install the Service Pack 1 (available on Autodesk’s website) and try the new poseLib version. Several things have been revamped, among which the namespace system, which is now more simple and intuitive to use. On an unrelated note, Despicable Me did quite well in the US and ended up number 10 of all time animated movies. Not bad for something that’s not a sequel nor based on an existing intellectual property! is this available for Maya 2012 x64 also?? @Pierre: The next version (which is brewing right now) will definitely support Maya 2012 (both 32 and 64bits). I tried going to http://seithcg.com/wordpress/?page_id=19, but it’s requesting a password? you could make a version for Blender 2.60? @Martin: The thing is I’ve never used Blender. So while it could hypothetically be possible, unfortunately I don’t think it’s going to happen anytime soon!